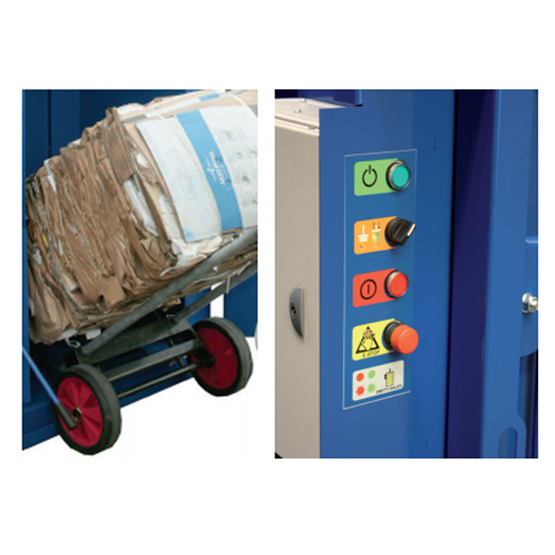 Suitable for positioning where storeroom space is limited. Automatic compaction cycles with bale full light. Bale lifting trolley. Available with 110 volts single phase and 400 volt 3-phase power supplies. MACFAB Can Crusher Insert: For compaction of drinks cans and food tins from 5 Lt – 20 Lt. 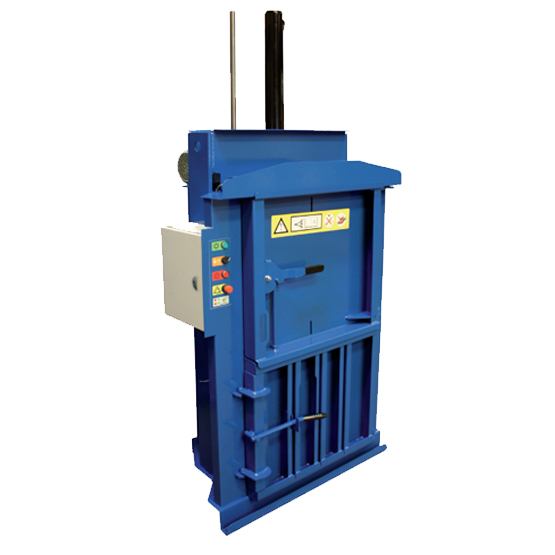 The Crusher Insert raises the floor in the baler chamber to allow the press head to compact with full stroke.